Sure, 1% by far doesn’t seem as impressive as 99%, which accounts to the rest of the new vehicles sold that are not electric. However, if we look at it from a growth perspective, we’re right on track for a “hockey stick” growth. The argument of accelerated growth, as presented by Google Futurist Ray Kurzweil, goes as follows: 0.01% to 1% market penetration takes 7 doublings. The same applies to 1% going to a 100%. GM's EV1 was released in 1996, and from there, it took us twenty years to get to 1% (or roughly a doubling every 3 years). According to Kurzweil's theory, we need another 20 years to get to 100% new vehicles sold. This argument was similarly applied to global solar growth. What does this growth mean for EV sales figures in the next 3 years? Of course, 20 years is conceptual. It really becomes interesting though, when we apply this accelerated growth to the next three years, right until the end of 2019. 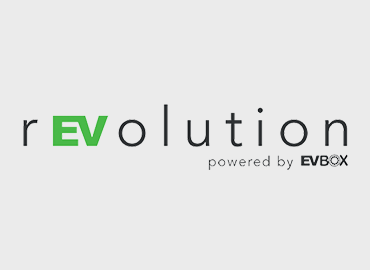 Right now, there are over 500.000 EV’s in the US. Let's say the number of new vehicles sold in 2015 (17.5 million cars and trucks) maintains between now and 2019. 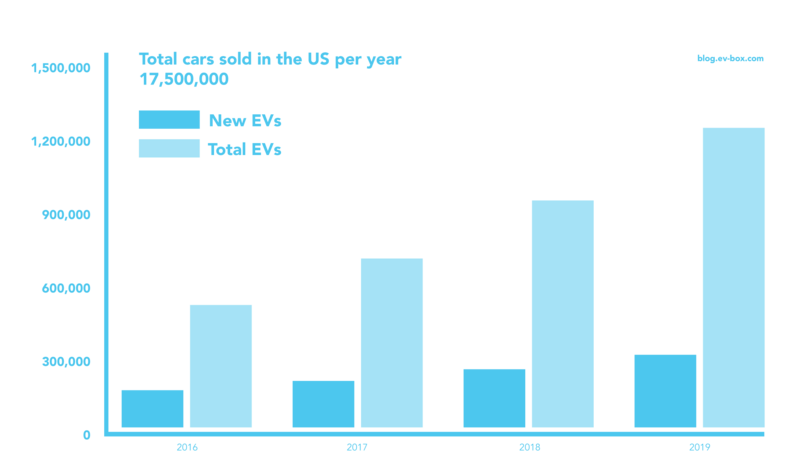 This will give us the following number of EVs sold per year. Using Kurzweil's argument, we can see a rapid adoption of EVs in absolute numbers, and a doubling of EVs sold in the next 3 years. We go from a little over half a million, to a million EVs. In the US, we’re witnessing a compound annual growth rate of the EV charging market between 29.6% and 36% until 2022. This is quite a confidence boost. With battery prices declining 8% every year, and virtually every major carmaker now building EV’s, the future sure looks bright for electric cars. Most importantly, electric cars are no longer what people thought they’d be. Not only do they easily cover your daily commute on a single charge, the EV price point is now reaching mid-market level prices. Electric cars are becoming available to the millennials and the mainstream audience. With this growth rate, the demand for charging stations will increase tremendously. 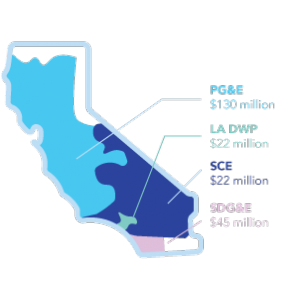 In California, there are currently a few utility programs that will support the installation of charging infrastructure. It won’t be long before your office is going to have 10 to 20 charging stations in the parking lot. The EV1 was released in 1996 and from there it took us 20 years to get to 1% (= roughly a doubling every 3 years). According to this theory, we need another 20 years to get to 100% new vehicles sold. We may be ‘half-way’ there, but there’s no time to sit back and relax. If the doubling happens, we'd go from a little over 500.000 to a million EVs. The evidence around climate change is crystal clear for quite some time now. The only difference is that we can now limit our CO2 exhaustion, without making any concessions to our standard of living. As we enter 2017, we are ready for record setting growth. Let's beat the accelerated growth pace, commercialize electric driving, and make a positive impact on the world's climate. More about electric driving and charging? Download our free whitepaper.